With around 90 forms for tax, duties and contributions, this description isn’t too surprising. So let’s try to simplify matters by breaking down the system as far as possible. To an extent, tax in Brazil can be classified according to the department collecting the taxes. • Municipality taxes, which are regulated and collected by each municipality’s government. You’ll need to ask yourself some basic questions to get to grips with how taxation will affect you in Brazil. Are you working there? If so, is that for a company or yourself? Are you retired? Do you plan to buy land or property? All these questions will affect how you’re taxed. How Will I Be Taxed If I’m An Expat? If you’re an expat who has become resident, you’ll have to pay tax. You’re a resident if you’ve been naturalized, have a permanent visa, or have a temporary visa with an employment agreement. 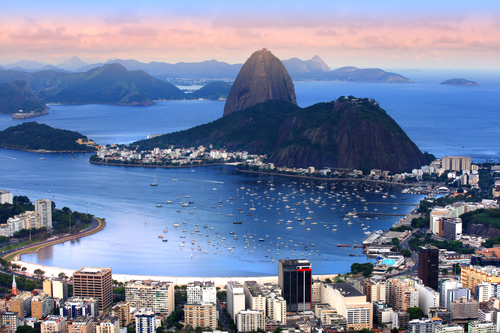 You’ll also be subject to tax-residence status if you stay in Brazil for more than 183 days in any 12-month period. This status will apply for 12 months after your last departure from Brazil. If you’re a non-resident (that is, a migrant, holder of temporary visas without an employment contract with a local company, or someone who hasn’t completed 183 days in Brazil within a 12-month period), you’ll only be taxed on your Brazilian income. Brazil operates a system in which a maximum of 27.5% of your income can be taxed, with social security contributions deducted too. If you’re a resident who is subject to tax in Brazil, you’ll have to pay tax on both your Brazilian and your overseas income, unless your country of origin has a double taxation treaty with your adopted nation and you can offset some of your tax. Brazil currently has tax treaties with 32 countries. However, there isn’t a current treaty between Brazil and the US, for instance, so do check what the state of affairs is between your nation and Brazil. If you’re a US citizen, you’ll still need to file US tax returns every year and you may be obliged to report on your assets in foreign banks as well. Look into exclusion clauses and tax credits if you’re in this position. You’ll need to submit a tax return in April. If you’re working for a Brazilian company, they’ll probably deduct your tax at source. If you’re self-employed, e.g. if you have offshore or rental income from elsewhere, you will have to make your own payments monthly at a commercial bank (a process called Carnê-Leão: you can deduct expenses and the year’s income and contributions will be adjusted for your final return). You can find the rates for monthly tax in 2018 here. If you start a company in Brazil, then you’re liable for corporation income tax on the profits from your trade or business (15 percent for a taxable income of up to R$20,000 per month; 25 percent for an income above R$20,000 a month). If it’s a new company, the registration process is quite complex and you must pay tax on either a quarterly or annual basis. You may also have to make quarterly or monthly payments of estimated tax. After the end of the year, a tax return must be produced by the last working day of June in the year which follows the fiscal year in which the income was made. • Donations, medical expenses and so on; a 20 percent maximum of the global annual income. • You may also be able to claim deductions for your dependents: children, spouses and other relatives. Capital gains are generally subject to tax at 15 percent for non-residents (with some exceptions). Gains from the sale of securities on a public stock exchange are taxed at 20 percent for all Brazilian residents. There are no inheritance or wealth taxes, but some states may insist on a death transfer and a donation/gift tax. Nor does Brazil have an equivalent of VAT, although there is a sales and services tax (ICMS) of around 18 percent as well as an excise tax (IPI). 1) Tax on urban land. This is collected annually if you own urban property. Check for any exemptions; for instance, these include if you are a pensioner/retiree receiving less than three minimum salaries per month, if you do not own other property in the same city or if you live in the property and are seeking an exemption. 2) Tax on rural real estate. This is because rural land may spread across municipalities; Brazil is a huge country. Again, it’s paid annually and depends on the amount of ‘naked’ land you own; that is, land that is not used for production. These taxes may differ between municipalities so it’s important to check the tax system in your particular area. Sounds complicated? Tax in Brazil certainly isn’t straightforward, but if you do your homework and seek advice once you’re on the ground, you should be able to navigate its intricacies without too much difficulty. Have you lived in Brazil? Share your experiences in the comments below, or answer the questions here to be featured in an interview!